Perfect for sensory processing and stimulation. The nubby surface makes this balancing stone an extremely sensory experience. 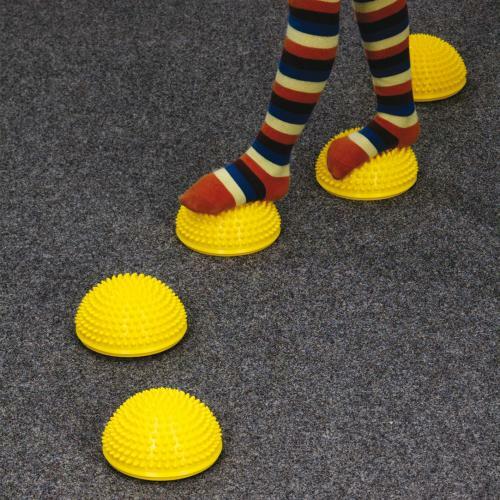 Great assisting device to develop balance, coordination and agility in young children . Recommended to use barefoot or with socks. Can be used from as early as 3 years old. Allocation: Allocate a set of five per 15 learners. This product comes equipped with an extensive Teachers' Guide offering you ready to run lessons and curriculum based activities. Want to know more about Sensory Processing? Book the Sensory Processing workshop at your school and gain 10 CPTD points.